I don’t really talk about nails on my blog. 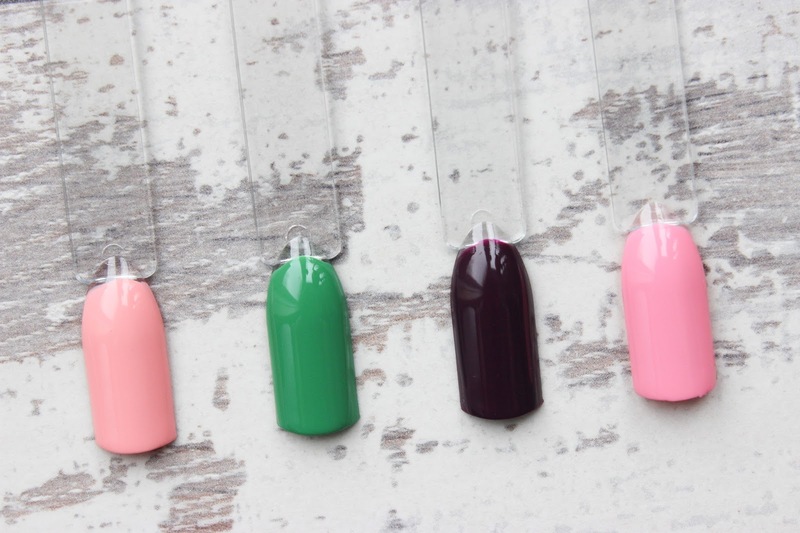 I love nail varnish, I love talons, the whole shebang but generally, I’m quite crap when it comes to these things so I tend not to talk about it, however, once in a while a good product (or a few in this case) comes along and I have to say something! I was sent the essie Spring 2017 Collection to review and I have to say I am pretty impressed. 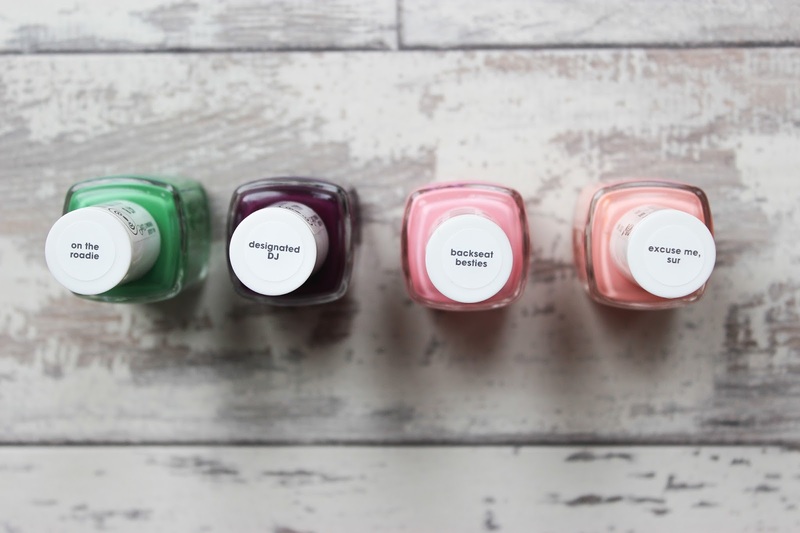 Now, let me just say I have two essie nail varnishes in my collection already and I love them – you can tell how good they are, quality wise, pretty quickly so I already sort of knew I was going to love this collection. The new limited edition 2017 Spring Collection* contains 6 shade which encompasses freedom and good times with friends! Think road trips with your mates in the summer sun…mmm, summer, remember that season? I have to admit I was a little skeptical about all of the shades bar Designated DJ, deep plums/purples are a no brainer on brown skin but I tend to shy away from softer, lighter shades because I feel that they might look “off” against my skin tone but I was wrong. On the roadie has become my surprise favourite – who knew avocado green would work so well with my skin tone! The opacity and ease of applying is also another bonus with essie. I am THE WORST at applying nail varnish – seriously, I even messed up the swatches, the picture above was my second take but I find with Essie varnishes things are a little easier. Firstly, application is a breeze! I don’t know whether it’s a combination of the brush that fans perfectly or the formula which has the right consistency (not too runny, not too thick) but I find that I have an opaque but glossy nail in less than 10 minutes which is a feat for me. Drying time is another bonus as I always and I mean, always smudge my nail varnish but it seems essie varnishes dry super quick meaning less smudges which is a small but significant win for me. All in all I have nothing bad to say about this collection! 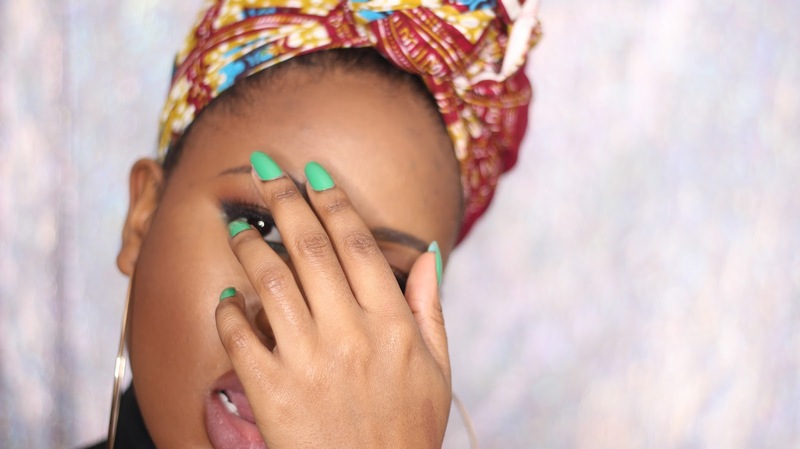 The shades speak summer to me and despite my reservations, they also look perfect on deep/dark skin. I’m already thinking about the next shade to wear, maybe Excuse me, sur. The essie Spring 2017 Collection is available at until May at Superdrug and Boots.